A wide range of Fire Safety Products, fast & reliable delivery. 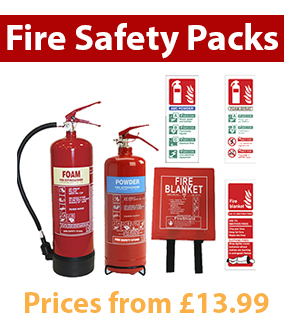 Fire Safety Store stock a complete range of fire safety equipment including extinguishers, cabinets, stands and other fire protection products such as signs, blankets and much more. All of our products meet the required UK safety standards so you can be assured that you are getting the very best in quality fire safety equipment. We supply fire safety equipment to a wide range of businesses and industry sectors. Our selection of fire extinguishers includes CO2, powder, foam, water, stainless steel and much more. Browse our online catalogue today and buy all your fire extinguishers and other fire safety equipment online with 100% secure transactions and express delivery.